This book explores the unique aspects involved in the management of ECMO patients such as physiopathology and indications, setting up the device, monitoring ECMO and the patient, troubleshooting, ethical aspects and rehabilitation. For the past eight years, management of acute heart failure and Acute Respiratory Distress Syndrome (ARDS) patients has been improved by the development of short-term assistance devices, with ECMO as a first line treatment. 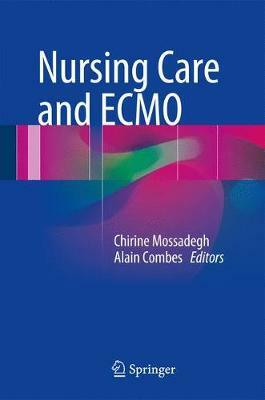 This highly informative book provides essential insights for ICU nurses at ECMO centers around the world, who face the substantial challenges involved in the management of ECMO patients. Above all, it meets their training needs with regard to bedside monitoring for these patients, which has become a major issue. The editors and most of the contributors serve at La Pitie-Salpetriere ICU, France, which, in terms of the number of admissions and major publications produced, is one of the world's leading authorities on ECMO.